Welcome to the new CCHLT Office location with SCCLT at 1315 S. Allen St. Suite 306! 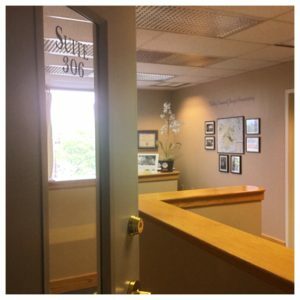 Centre County Housing and Land Trust has had the pleasure to have a donated office space at National Penn Bank on S. Atherton St. for two and a half years. In 2016, BB&T acquired National Penn Bank, and on July 15, our branch was closed to move into the adjacent BB&T location. As a result, CCHLT’s Board of Directors and staff have searched and searched for a new office location close to our clients but also manageable for our modest budget. Just in time, CCHLT found a suitable space! CCHLT is excited to announce that we will be temporarily sharing an office space with the State College Community Land Trust, one of our partner organizations. Our new office address is 1315 S. Allen Street, #306, State College, PA 16801. Typically, you can find ED Rachel Fawcett at the new office on Mondays and Wednesdays from 10:00am-3:00pm. Please make an appointment with her before visiting at director@cchlt.org. Our mailing address remains the same at 1155 Zion Rd. Bellefonte, PA 16823. Thank you for your patience and support as we transition into our new office space!